Virgin Media offers Spotify on broadband and mobile - TiVo to follow | What Hi-Fi? 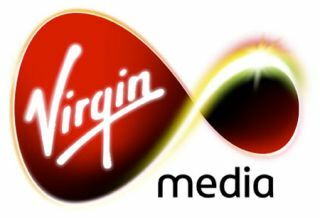 Virgin Media is today launching the first of its Spotify Premium offers for broadband and mobile customers. New or recontracting Virgin broadband customers who sign up for the firm's 30Mb, 50Mb or 100Mb service will get Spotify Premium for free for the first six months, a saving of nearly £60. Existing customers will have to sign a new contract to qualify. Users will be able to stream music from Spotify's substantial music library, and also enjoy a range of exclusive content available through a new 'VM Music' tab in the Spotify app. Virgin Media broadband customers taking a new pay-monthly Virgin Mobile contract will qualify for a free three-month Spotify Premium subscription for their phone, a saving of nearly £30. And they won't have to pay any data charges when streaming or downloading songs on Spotify to their Virgin mobile. In the coming weeks, Virgin also plans to launch Spotify for its TiVo video-on-demand set-top box. This will enable TiVo subscribers to stream Spotify through their TV or home cinema set-up. Andreas Liffgarden, global head of telecom business development for Spotify, says: "We are thrilled to be partnering with Virgin Media to offer music fans access toone of the biggest music libraries in the world... through broadband, mobile and TiVo." Virgin Media customers new to Spotify, as well as those already with Spotify accounts, will be able to redeem the offers of a three- or six-month extension to their current subscription for no extra cost. When the free offer expires, they can opt into continue to subscribe to Spotify Premium through Virgin Media. If they don't wish to continue subscribing, their accounts will revert to the ad-supported free Spotify service.